She professed faith in Christ and was a member of South Campbellsville Baptist Church. 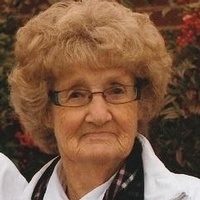 Margaret was a retired employee of Fruit of the Loom in Campbellsville. She united in marriage to Frank Clark in 1946 and he preceded her in death November 5, 1970. She later united in marriage to Thomas Shively February 2, 1977 and he preceded her in death May 27, 2005. She is survived by one daughter and one son: Doris Puryear and husband, Richard and Jim Clark and wife, Kathy of Campbellsville; two step-children: Frances Buckman of Calvary and Nancy Atwood and husband, Danny of Greensburg; three grandchildren: Richard Jeffrey Puryear and wife, Cindy of Georgia, Melanie Puryear and significant other, Rex Daugherty of Columbia and Jeremy Clark and wife, Andrea of Campbellsville; four great-grandchildren: Calah Puryear, Richard Justin Puryear, Ethan Clark and Kayden Clark; several step-grandchildren and step-great-grandchildren; one sister and one brother: Mary Nelson of Louisville and J. D. Bottoms and wife, Lori of Galveston, Texas; one aunt, Blanche Kerr of Campbellsville; several nieces and nephews and many other relatives and friends. She was also preceded in death by four brothers and five sisters: Ronald Bottoms, James Bottoms, Lenny Bottoms, Ralph Bottoms, Rita Nelson Cobb, Ruth Price, Carolyn Thompson, Leona Hughes and Hazel Beasley.